Zenatek supplies a simple and effective e-tracking solution to improve military logistics and supply chains. The company designs, produces and runs Zenatek tracking system (ZTS), a tool created to monitor container fleets at sea, in air and on land. Efficient and accurate cargo transportation is essential for the safety and well-being of troops. Improperly tracked containers can be affected by poor in-port logistics, damage, negligence or even theft, all of which lead to delayed or missing shipments. When transporting equipment such as vehicles, weapons, air-conditioners, and food, this can seriously impact missions. To eliminate these issues, Zenatek offers its advanced real-time monitoring system, which is proven to reliably track shipments worldwide, while maintaining client discretion and being economical. The Zenatek tracking system introduces a new level of performance in tracking, monitoring and reporting of goods in-transit. Containers can be monitored continuously via its internal GPS, which is compatible with the GPS / Glonass standard and is also Galileo-ready. In the case of an unplanned event, an email or SMS alert is sent to a selected mobile or web device, so the problem can be addressed asap. ZTS may also store in the web-site application the container packing list, including loading documents and health certificates, so they are always available to those who the client has allowed access. The ZTS device is non-obstructive and comprises a small microprocessor, an electronic controller unit and the GPS transmitter / receiver that communicates with a satellite network. This smart technology allows the logistics operators or the goods owner to manage and monitor events in the supply chain in real-time. Some transporters are reluctant to give a full and transparent view of their work, often to cover problems with their operations, infrastructure, or fees. Using ZTS, users gain complete visibility of their shipments, eliminating all uncertainty, and enabling faster decision-making following changes, such as re-route shipments. The ZTS container system reduces misuse of containers, avoids rejected loads due to temperature excursions, and provides greater control of demurrages timings. 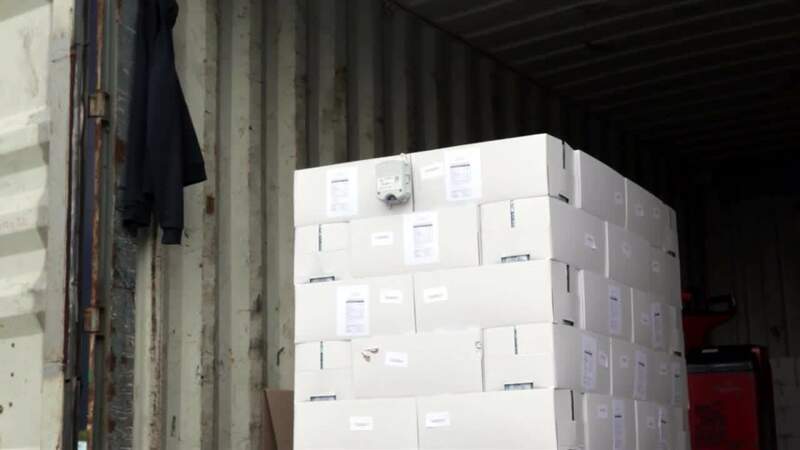 It has a geo-fencing capability, so if a trailer or container is moved somewhere in the port, the device will trigger an alert for a check of its status and security. The device also provides geo-coded proof-of-delivery information to the client for added assurance. ZTS can also trace goods in pallets also sent on airplanes. 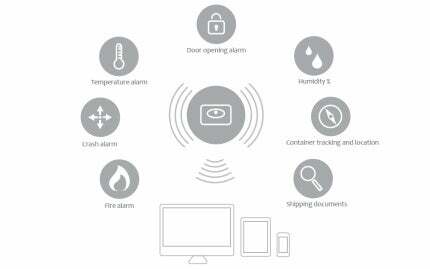 The Zenatek system is based on a container tracking device (ZTD), which can be easily installed directly on to a container’s doors. Each device operates for the duration of its battery, which is usually three to four months or 150 sent messages. During its lifespan, the unit is capable of transmitting information from several containers or pallets, while travelling worldwide, through an effective partnership with Vodafone. It is configured on a web portal where the client can access information via the internet using a unique, encrypted code. This allows them to review the details of their containers in-transit at any time. This process requires an initial configuration, and the owner / operator can make subsequent changes through the web portal. In addition, users can give receivers access to the app so they can review the same delivery information. All data is secure and encrypted, and access can be set according to a range of levels. Zenatek’s container tracking device features GPS/GSM technologies that provide two-way communication, cellular and satellite, responding to customer needs and/or network availability. Remote configuration of temperature thresholds and transmission intervals from the unit to the data centre are possible. The ZTS does not require any additional investment in fixed infrastructure such as porticos, readers, or repeaters. The software architecture of the web portal was designed completely in-house to allow for comprehensive inclusion of all data, while handling an overwhelming amount of information in real-time, without redundancy. The unit does not need to be recovered and sent back to the client, eliminating all costs associated with these tasks. Due to its extended battery life, and as the client has already paid for the service they can use the container tracker until it runs out of power, then dispose of it. It is a small and a very sturdy piece of equipment, with simple specifications and fool-proof installation. The Zenatek Tracking Systems has been tested for EC and FCC standards and conforms to safety regulations for air transport. Zenatek will be exhibiting at this year's global high-end security showcase at Olympia, London, UK. Container cargo security, in-transit visibility, continuous chain of custody - what do these have in common? The answer is a need for wired or 'smart' containers, according to logistics and tracking specialist Zenatek. Zenatek has been exhibiting at this year's EUROSATORY in Paris. Zenatek will be taking part at the Intermodal Europe 2012 exhibiton from 27-29 November.